Look beyond jeans for these great denims that can help you tie your outfit together. Whether it be the classic denim jacket and white tee combo or more adventurous combinations involving denim shoes, these stores can help you hit the mark with your denims! With over 5 stores across Pune, Enclothe has a great collection of Denim accessories for stylish individuals on a student budget. With jackets starting from INR 1200 and Belts from INR 600, this store can definitely help you get your denim style down without being too hard on your pocket. This underrated brand is big on denim accessories, with jackets, belts and even shoes being a part of their wide collection. Shoes begin at INR 1699 and Jackets at 2499. The store which is located in Phoenix Market City, Viman Nagar has a wide collection at a reasonable price. 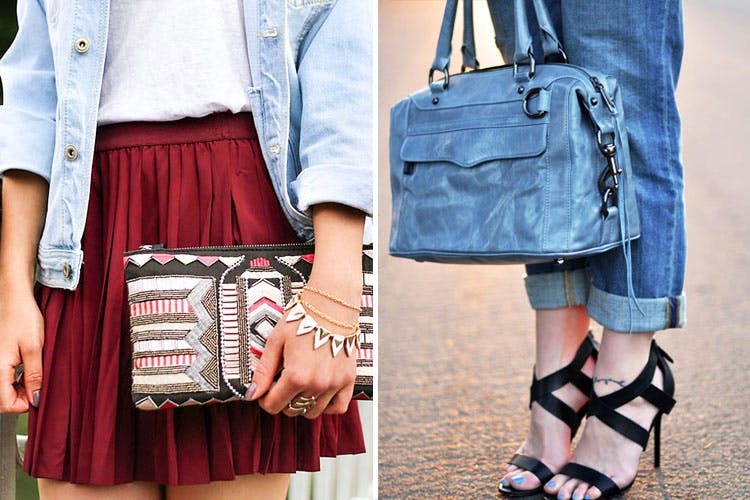 For just INR 1299 you can be the owner of a denim bag. The store also has a large collection of tops and jeans that you can match with your new denim accessories. We can’t mention denim without mentioning Forever 21. Known for it’s trendy backpacks and stylish jackets, Forever 21’s designs are also relatively affordable. Also located in Viman Nagar, the spacious store is always brimming with students looking for their next denim fix. With jackets starting from INR 2199, the selection is on the higher end, but the variety and quality makes up for it. With a wide variety of choices at throwaway prices, MG Road is a hotspot for buying denim bags. Starting from INR 500, the affordable bags can be found in small boutiques and street-side stores. Clover Centre is a favourite hotspot amongst students, who love the fun and trendy totes (amongst other denim bags) that can be the perfect accessory to tie an outfit together. With Denim Shirts starting from INR 500, this store located in Wagholi allows you to customise your own jacket. If you send a design to this small enterprise, your own denim jacket will be ready in 15 days.